Christmas is a joyful time of the year when even a sceptic believes in miracles. This is one of the most popular holidays all over the world and both adults and children look forward to it very much. Adults are waiting for the time off work to spend surrounded by the loved ones. Children are impatient to receive their Christmas gifts and be able to stay up longer than usual. Even preparation for the holiday is exciting! Seems like nothing can spoil the holiday except for thinking about what will happen to all the accessories and decorations after the Christmas is over. Some people think of this upcoming issue beforehand, some do so only after the celebration is over but everyone will inevitably face it. Most people, and you maybe be one of them, do one of two things – to either throw the goods away or let them gather dust in the attic or basement till the next Christmas. With the following helpful tips it will never be the issue for you since you will already know what to do with the things left after Christmas. So here they are. First of all, remove all baubles, tree lights and paper chains from the tree. If it is a natural tree you can take it to the nearest wood station to get it chipped down, or to an organic or green waste facilities. If you live in your own house and require wood for a chimney or other household purpose, then leave it and recycle yourself according to your needs. If you have a garden, the tree can be composted. In case your tree is artificial and may be reused, you can simply donate it and make somebody happy. It is an old tradition to exchange cards on holidays. This is true not only for Christmas but for all other holidays. That’s why piles of cards can be found in all homes. Instead of letting them continue to pile up, better turn them into something creative and useful. The simplest idea is to cut them up into bookmarks. You can do straight cuts or make them uneven to give them more interesting look. More complicated idea is to create vase from cards (just don’t pour water inside) or casket for keeping jewelry, make up or just small stuff. The worst idea is to throw the candles away! They may be needed at home in case of emergency when there is no electricity. For that purpose, they should be kept in a special place that can easily be reached. On regular days they can serve just as a decoration simply staying on shelves. Candles would also be a great accessory for having a romantic dinner at home. Fruits, wine, candles… Beauty! 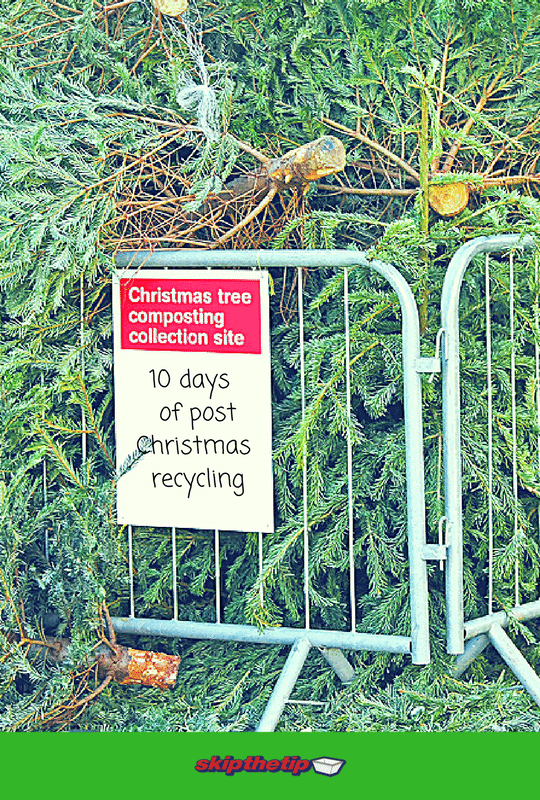 If it includes some natural elements that will spoil with time, better send them to the trash or the compost. If not, then the wreath can be put outside on the entrance door. This will definitely make your house look different from neighbours and make it look unique. You can also hang it around photographs on walls inside or put it on around a vase. You will have it leftover if you receive presents or you bought too much of it for wrapping presents. Don’t worry, it is always in demand! Though the Christmas is over, other holidays are not. There will be plenty of birthdays of relatives and friends all of whom will be happy to receive a gift from you. And you already have a wrapping paper! If you don’t know how to wrap presents correctly, there are many helpful videos on the internet. All it takes is a little practice. It can be a pain to remove and collect them all, but don’t hurry to throw them away. They can be used to decorate your interior or exterior for other holidays. Also, you can throw a party at home, turn the big light off and have fun with using only these lights. And remember that you can always donate them or give friends who can find a good purpose for them. A bottle of good alcohol can be found on a Christmas table in every family. In some families, there is even more than one. Usually, there is alcohol for adults in glass bottles and juice and soda for children in plastic bottles. After the drink is finished, bottles should not be thrown away. If you have a lack of time, store these bottles. Also, you can wash a bottle and keep another liquid in it like water, milk or oil. This can probably work only with a plastic bottle since not all glass ones can be shut with a lid again. First of all, remove them from the Christmas tree. There are two most widespread types of baubles. One is glass and the other is plastic. Since plastic baubles are unbreakable and look very nice and bright at the same time, they may become a favourite toy of the little ones! If you don’t have little children in your family, donate them to friends who do or on charity. Just make sure the baubles are big enough so that a kid will not swallow it. Glass baubles can’t be utilized in the same way because it is may lead to unpleasant consequences. Instead, they can serve a decoration for interior design. Place them on shelves or a windowsill or a coffee table and you will be amazed how your home’s appearance changed for the better. Tinsel is a non-recyclable Christmas accessory. You can keep it to use as a decoration for a house for another holiday or wear it as a necklace. You will look unique and creative at every party! And remember that you can always donate it. The abundance of food is a usual thing for such a big holiday as Christmas. No wonder there are so many food packages left after the holiday is over. And someone has to clean it up. Don’t make a mistake and throw them away, give them a second life instead! Big cardboard boxes can be turned into nice toys for children! You can make a small house or a house for dolls or a casket. Smaller boxes can be utilized for keeping small keeping gels and lotions in a bathroom, cans with spiced in a kitchen or small accessories in a bedroom. Big cans can be recycled for flower pots. Dye them or decorate with coloured paper to make them look nice. Small cans can be used to keep nails, buttons or just everything small. Plastic glasses may turn into lanterns or vases. You can wrap something into empty plastic packages to keep the thing clean. As you can see, there are lots of ways to do with things besides throwing them away. Some of the tips you may already know while others may be new and even surprising to you. Use them and don’t let a thing be wasted anymore!